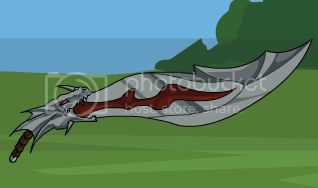 A special blade forged for Sheila as a gift and presented by her brother Cyrus, the Dracomancer Lord. It can summon the ghostly Dragons of the Four Paths for a special attack! This one is as strong as the level 65 version!